The overall system settings for Interactive can be set. 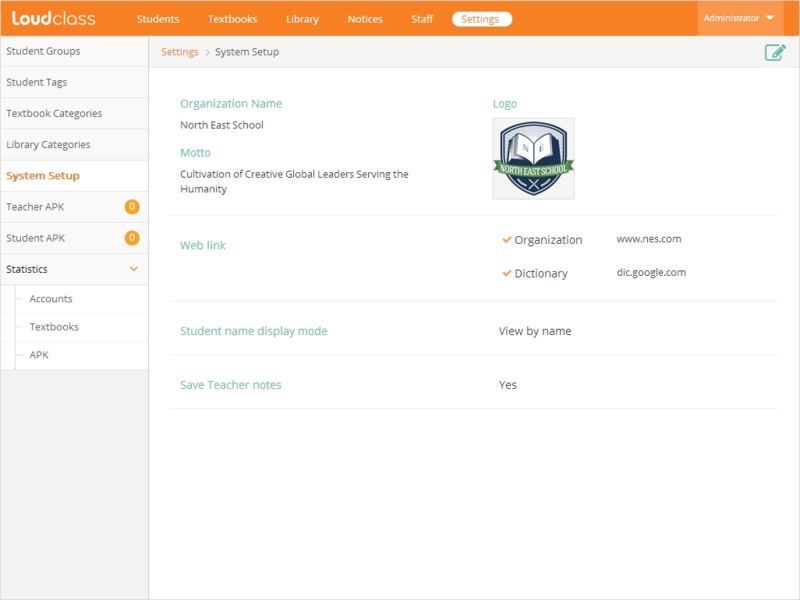 Settings configured in Cloud are applied for teachers’ and students’ tablets. Set Organization name/ Motto/ Logo. Logo should be less than 300*300 pixels. 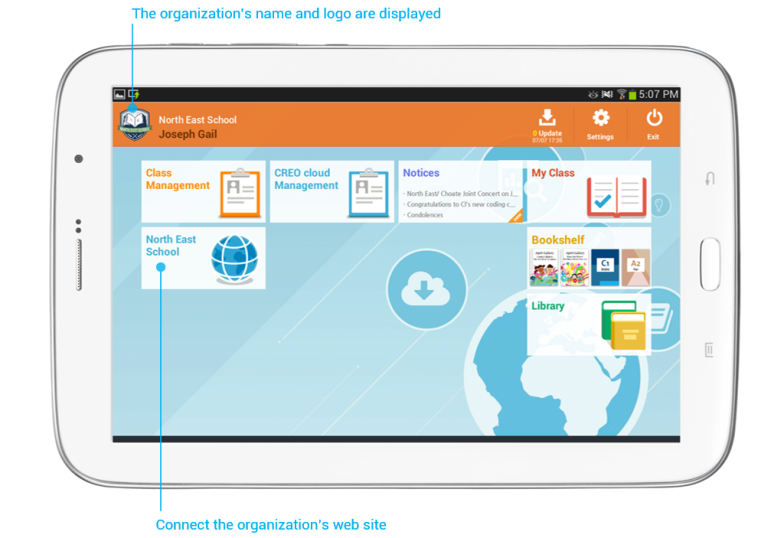 The organization information is shown in the main page of Cloud and Interactive. The settings can be also set in Interactive. Modifying settings in Interactive will override settings modified in Cloud. Set the URLs for the organization and dictionary websites for direct access. Up to 2 links can be set. The organization’s web site is displayed when the “Web Link” menu is selected in the Launcher. Set the default value for the student name display mode. This mode can also be set in Interactive. Modifying settings in Interactive will override settings modified in Cloud. This option sets whether to display students by their names or nicknames. Set the option on whether to save the teacher’s notes on the Interactive textbook. 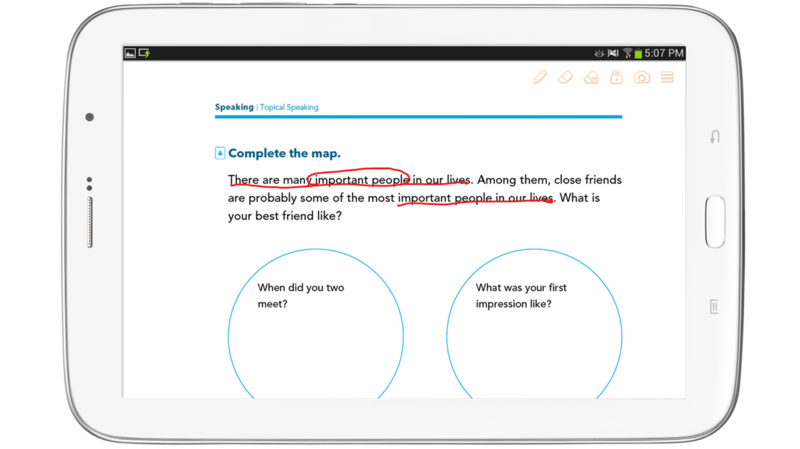 If the option is set to “Yes”, The teacher’s notes are shown when selecting “Open” under “Class Management” > “Textbooks”.